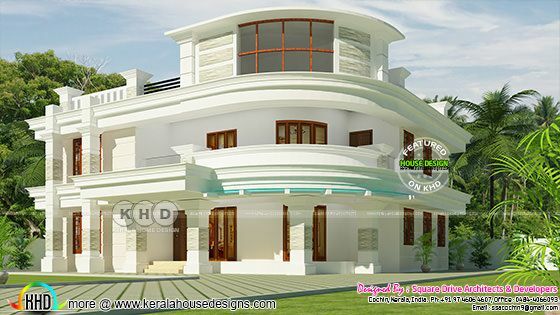 2700 Square Feet (251 Square Meter) (300 Square Yards), 4 bedroom new style modern house proposed at Aluva, Ernakulam. Design provided by Vinod Pulickal, Square Drive Living Spaces, Cochin, Kerala. 0 comments on "New and stylish modern home 2700 sq-ft"